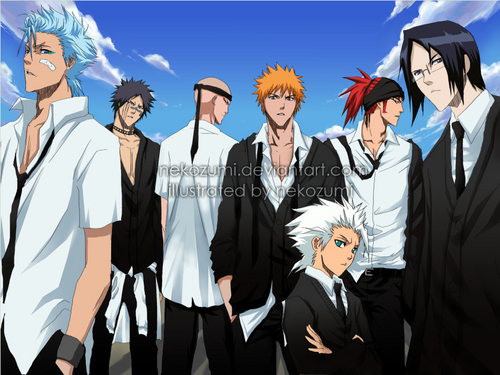 Bleach Guys. . HD Wallpaper and background images in the animé Bleach club tagged: bleach. GRIMMJOW-KUN!!!! HE LOOKS SO CUTE IN A SCHOOL UNISORM UN!!! WOOOOOH! who turned up the heat? thet're all sooo hot! Why do they turn me on so bad?!?! There so H-O-T!!!!!!! !